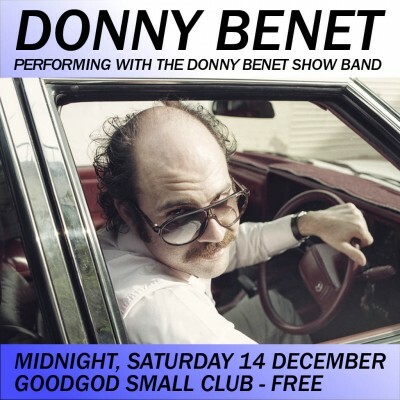 Our favourite Sophisticated Lover returns to the Goodgod Front Bar after a huge year that’s included Donny Duets and Royal Rumble… and this time, he’s bringing along The Donny Benet Show Band for a debut performance! Experience The Touch like you never have before with this free midnight front bar performance. It’s happening amongst The House of Who, so treat yourself and stick around ’til late.